Technology rules our lives these days, and with things like your phone and iPad and the kids' consoles taking up your attention it can be easy to become engrossed in your own things. But if you step back and spend quality time with your children you can both benefit. Sometimes it can be a pain to work out what you can do to spend quality time together and that's why I'm here. 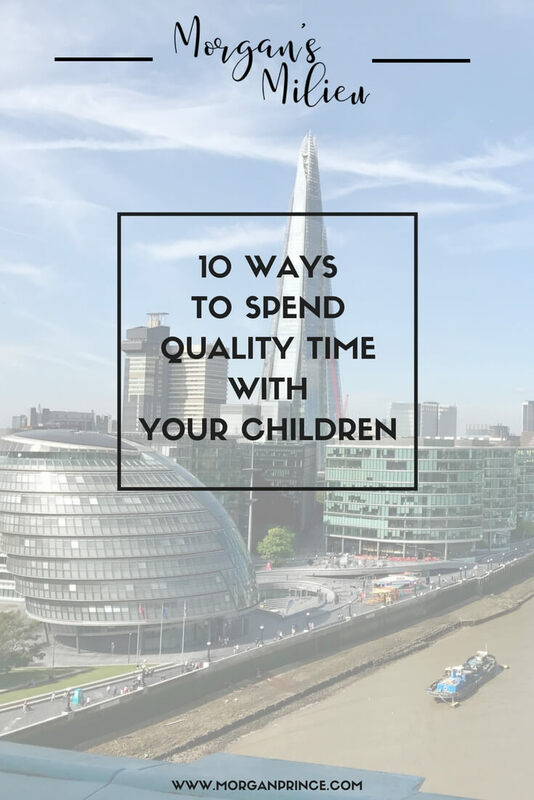 Below you can read about 10 ways to spend quality time with your children. 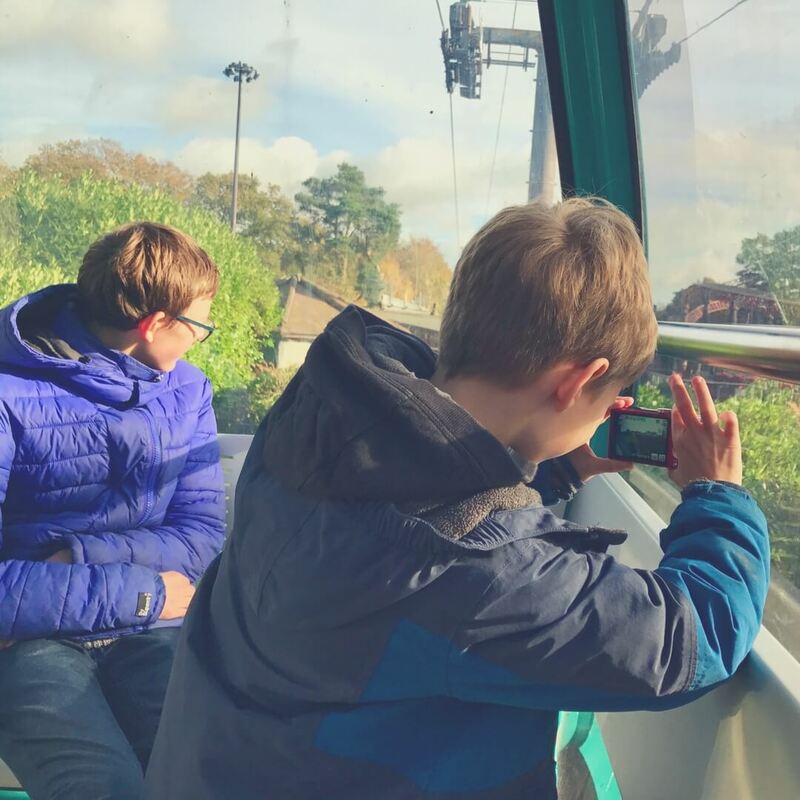 The boys at Alton Towers, LP taking photos out of the Gondola. If you're a regular reader you'll know we're big fans of board games. Scrabble, Ticket to Ride, and Colt Express are some of our favourites but we have a growing collection and we always enjoy sitting at our dining table getting ready to play. Which games you decide to play really depends on the age of your children but you could try Catan and if you have little ones they could be on a team. Or there's Cluedo - a game that LP has just started to play on his own rather than on a team. If you're new to board games I'd start with a simple one, one that everyone can understand and doesn't have complicated rules - Carcassonne is great for this. Whichever board game you settle on you're sure to have a great time together. This is a new thing we've been trying over the last year or so and it's one we've enjoyed more the more we do it. An Escape Room is where you're locked (not really) into a room and you have to solve clues in order to escape. They usually have a theme, some we've been to have been about Aliens, the Da Vinci Code, Pirates, the list goes on. Escape Rooms are a lot of fun and they make you work together to solve the clues. Of all the Escape Rooms we've tried I don't think there's been one when we didn't all contribute. It's one of those things that needs everyone to pitch in. We've talked about it often and decided that we needed everyone there, if we hadn't had all of us trying to figure out the puzzles then we wouldn't have escaped. The great thing about Escape Rooms is that everyone thinks about things in different ways and even someone as young as LP (9 years old), who often gets to go in for free, can contribute by noticing things that we wouldn't. We have tried Escape Rooms in Derby, Nottingham, and Stoke-on-Trent, and the more we do the more used to the puzzles we get - meaning it's easier to escape! I'd definitely recommend this for spending some quality time together. Have you ever played computer games with your children? We don't do this very often but when we do we have fun. MarioKart is a classic multiplayer game and our boys love it when we play with them. It's a game that takes me back because I remember playing when I was young - I never win but that's not the point is it? The soul is healed by being with children. Just Dance is a good one that will not only get you involved in playing games with your children but it will also get you off the sofa! We bought it for Christmas and LP LOVES it, I've had a few dance-offs with him and he's getting better. I'm always tired out when the song is finished but it's good fun and will have you laughing together. School holidays are a great time for day trips but they can also be done at weekends. They don't have to cost the earth either - there are lots of places you can visit for free, like your local park. Some of our day trips have included going to Blackpool where LP enjoys going on the beach. We spent a weekend in London last summer where we visited the SeaLife Centre and went on the London Eye. And just last week we visited Warwick Castle and walked around looking at the suits of armour and wandering around the 950 year-old castle. Day trips give you the chance to be together while enjoying the entertainment of somewhere new. 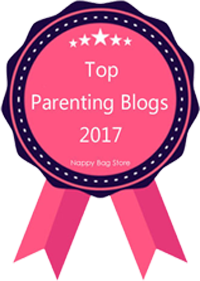 They allow you to talk about things you wouldn't ordinarily and that also means you get to know your children a little better. 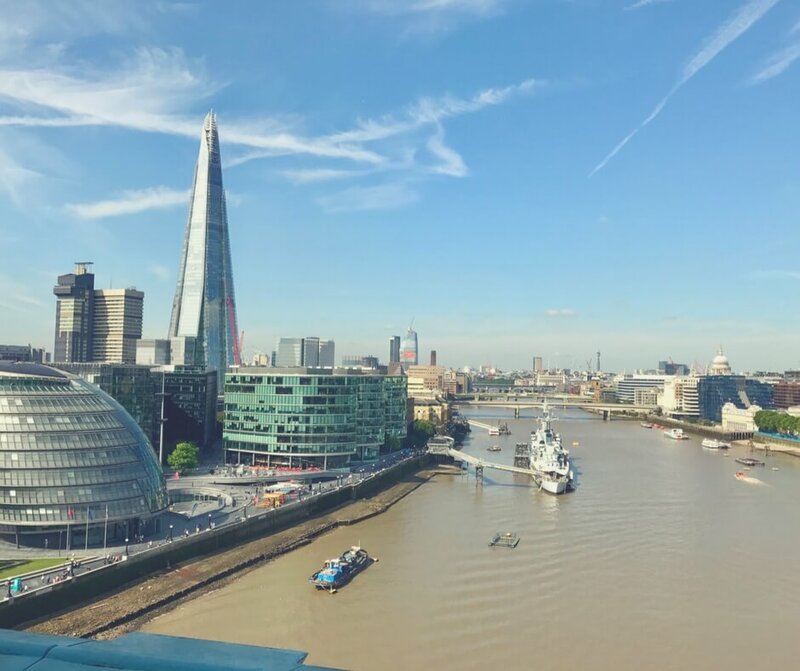 Beautiful view of London from Tower Bridge. If you're feeling lazy why not opt for a movie night? There are plenty of movies you can watch with your children that you can all enjoy. I have a list of my favourite movies to watch with the boys and they're not just the animated ones either, although the animated ones are sometimes best! Make a proper night of it, buy snacks (popcorn is essential) and have drinks (cans work great), then you can all settle down - perhaps with a blanket - and watch a great movie. Afterwards make a point of talking about the movie, that way you get to chat to your children after having quiet time. I've found that this is a great way to get to know my children's thoughts on certain topics, like the health of sea animals (thanks Finding Nemo, Finding Dory). Some of the best ways to bring up subjects with your children is to watch a movie and then talk about what you've watched. When we first watched Finding Nemo it gave us a chance to discuss what would happen to them if they ever got lost. A fantastic, fun, family activity (now there's some alliteration!) that everyone will enjoy. We love bowling and even LP, who is very competitive, doesn't mind not beating everyone. For LP we tell him to focus on beating himself - he remembers his score from last time he played and then tries to beat it. This stops him from getting grumpy because he can't beat his brother or his dad (he almost always beats me) and it gives him something else to focus on. For BP and the Hubby they can get into their own competitions, BP tries his best to beat his dad but rarely manages it. As for me - it's just a chance for me to see my family enjoying themselves all together. LP had a fort kit a few years ago that allowed him to build small forts - they were never big enough for the Hubby or me but he loved them all the same. For Christmas we bought him a new set, one that works with his current set so now he can build bigger forts. We also got a huge tarpaulin that goes over the top of the frame so I don't need to raid the linen cupboard for sheets! Building a fort is a great way to encourage learning, let them build the fort with your help if they need it. You get to be there for them but also allow them to make mistakes and work out how to correct them. The best thing about building forts together is seeing your children's faces when they realise they have built a fort without much help from you. It is the best. What I love about playing mini-golf is it's not a whole day thing - it can take up just one morning and you could go for food afterwards! 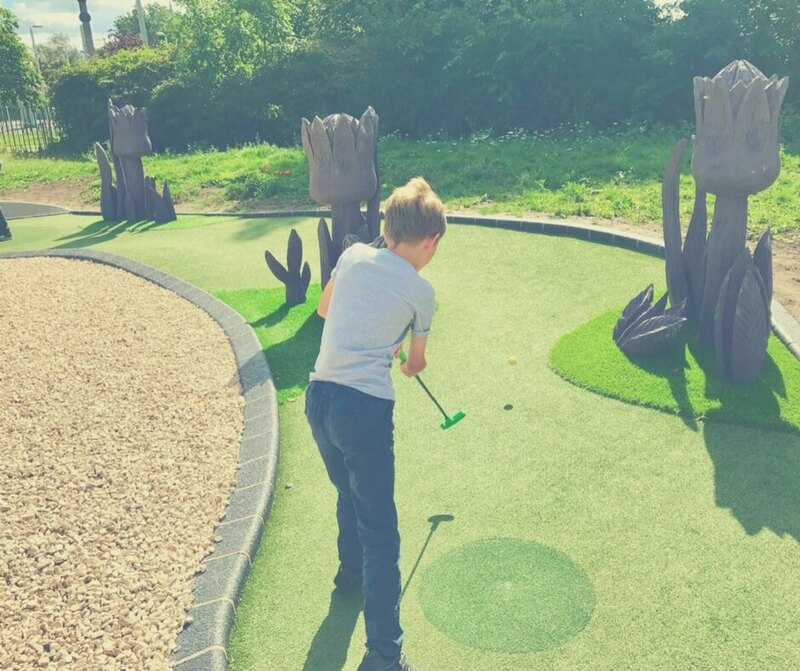 We've been to Lost Adventure Golf in Nottingham - the place we visit most often when we want to play mini-golf - we've also been to Intu Derby and Highfields Golf in Nottingham too. LP loves it when we go golfing. I could talk about how mini-golf teaches your children about controlling a golf ball or something but to be honest it's all about the fun for us. We're all a bit rubbish at golf (although I can be pretty good at times!) but we have fun. We laugh when someone can't putt the ball and we enjoy the time together away from technology. And when it's all over we go for food so we can fill ourselves with food that is bad for us while we smile and laugh together some more. Children learn to smile from their parents. I cannot recommend this enough. 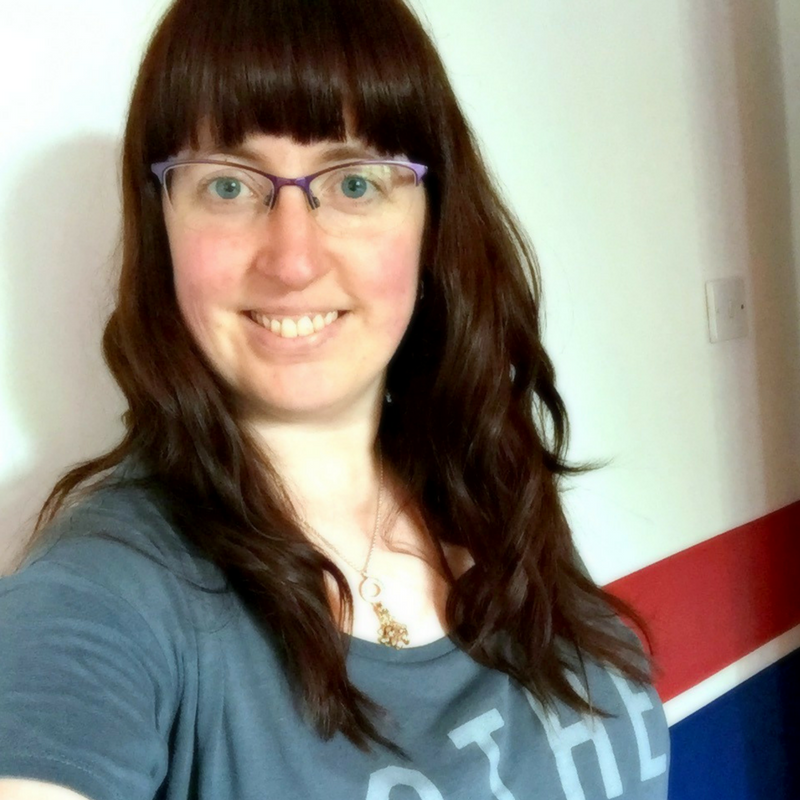 Walking is a big part of our lives, what with trying to lose weight (the Hubby and me) and wanting the boys to get outdoors we spend a lot of time walking. It's not great when the weather is bad, but it doesn't stop us going outdoors. We are lucky to live near a canal so we have miles of flat paths we could walk along close by, but we also like to walk in new places. We've been to Dovedale where there are miles of paths to walk along, we've walked along the canal in Stoke-on-Trent, we've even walked into Nottingham from our home which is about 15 miles. It takes time, don't get me wrong, but when you have a day when the sun is shining and you can walk for hours along a lovely canal-side path it does amazing things. Your children open up and start talking, they ask questions that wouldn't occur to them when in the car and you get to talk about topics that you might not otherwise. Whenever we go for walks we always end up talking and we can cover topics like economics, science, geography - all sorts. If I had to suggest just one thing for you to do with your children it would be this - go for a walk. It is free, gets you outdoors exercising, and you get to spend quality time with your children away from technology. It is so easy to sit in front of the TV to eat your dinner - the cooking takes time and you don't want to listen to any more bickering right? But something funny happens when you sit around the dinner table to eat. The children behave (for the most part), you get to enjoy the meal you cooked, and you get to chat. As with the walking we often discuss random topics over dinner and it can grow into a huge discussion that will last into the evening. I love these times because it means we've interested our children in a topic and they want to know more. Just recently we were discussing business, how someone would go about setting up a business and the kind of challenges they face - like raising money. I think it is one of those times when the children are learning but they don't realise it - it's one of the best ways to teach them. 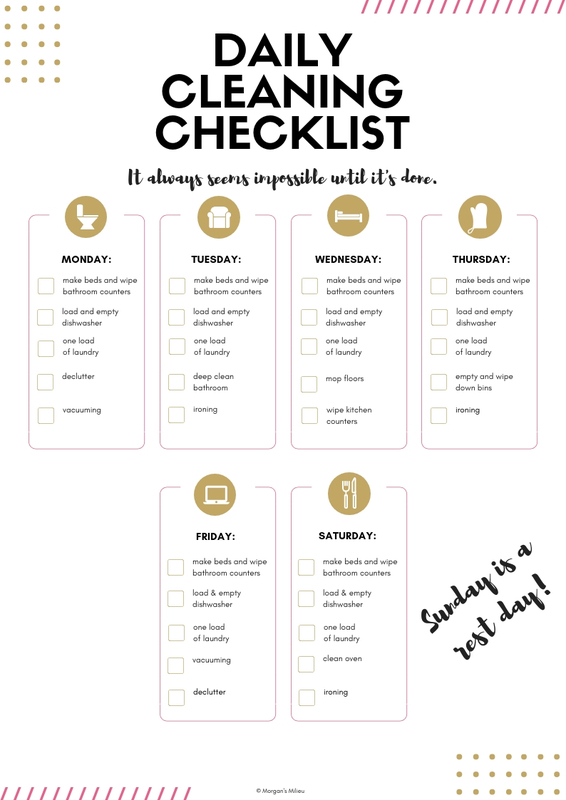 There you have it, 10 ways to spend quality time with your children. Some require money and some don't but they all need you to be present. Put down the phone, turn off the consoles, and spend time together. 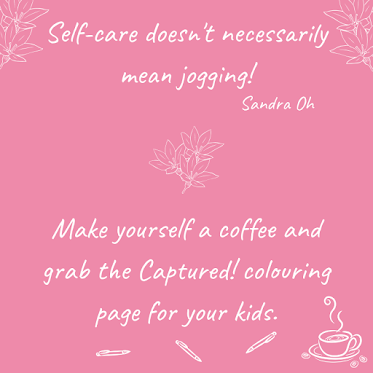 How do you spend quality time with your children? 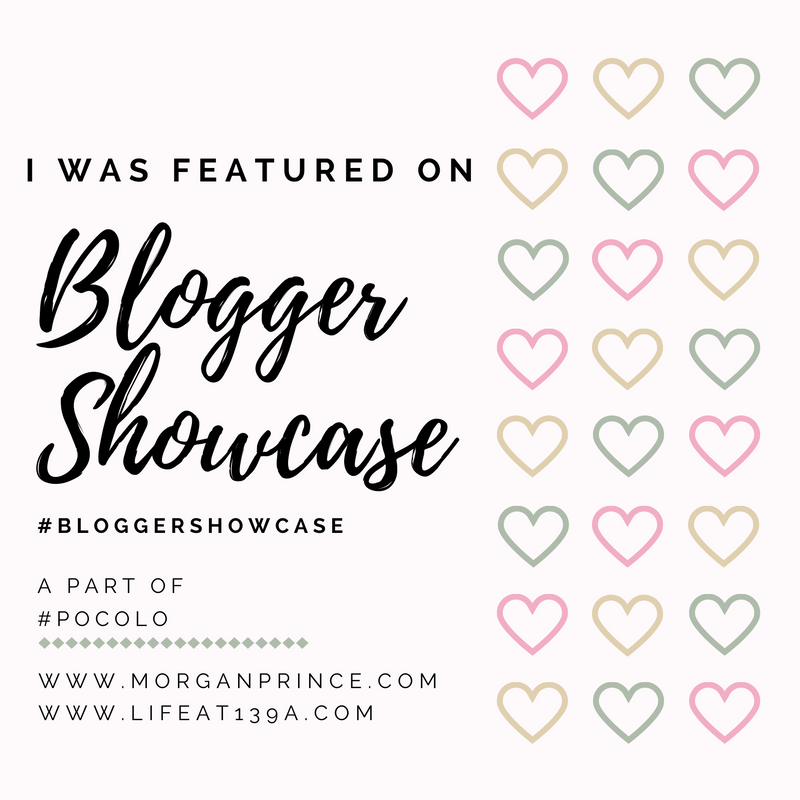 Read more from me and get a sneak peek from behind the scenes! Some brilliant ideas here. We love playing crazy golf together although it does get a bit competitive! Great post.. so much quality time is missing these days, and is too important for our kids!! Hi Morgan, there are plenty of ways to spend time with children that don't need a lot of money. We used to have a good laugh (usually at me) playing MarioKarts and board games as a family too... Walking is good too and having dogs helps enforce that one... Now the children are all grown up my favourite way of spending time with them is just sitting and being with them. I find that a nice chat over a cup of tea (with a piece of cake) is perfect for us now. Oh that sounds great (especially the cake)!